Love the colours you've used Kate. Two smashing cards Kt, that mouse one is a really cute image. pretties !!! love them both , which challenges are they for ? Well, they're both lovely, Kate. Now, what card are you using 'cause I'm about to bin the damned lot of my stuff....and would you send me a little bit to try? Please...before I waste any more of my non-existent money. Aw poor hippo looks so sad. Lorraine wrote: Now, what card are you using 'cause I'm about to bin the damned lot of my stuff....and would you send me a little bit to try? Please...before I waste any more of my non-existent money. Kim if you look on my blog (siggy below) the links for each challenge are on there. 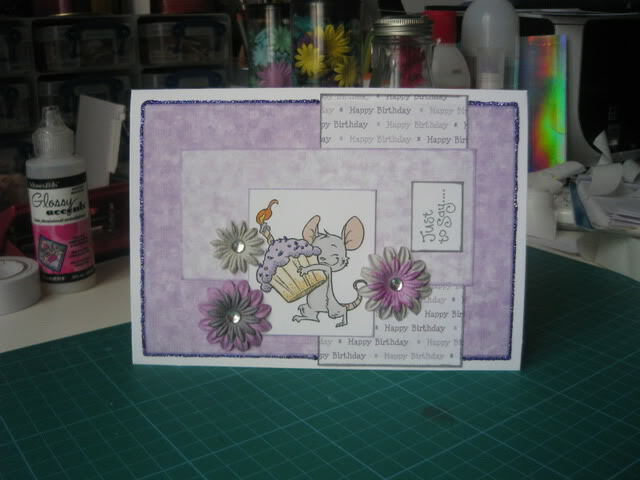 I think the mousey LO card finishes tonight/tomorrow as it's a 2 weekly Saturday one. 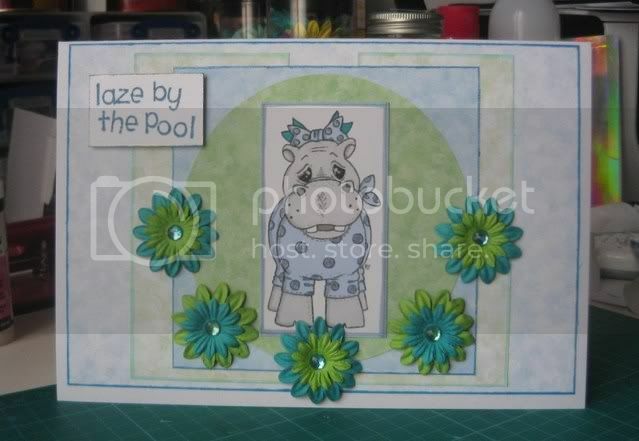 Both lovely, but of course the hippo gets my vote for top place. Both lovely but I do adore the hippo.